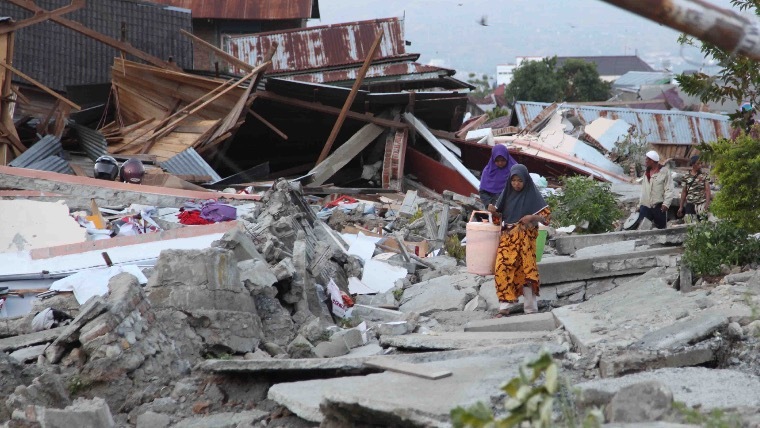 International children’s charity World Vision UK has launched an emergency appeal to help people suffering in the aftermath of the Indonesian earthquake and tsunami. According to authorities, nearly 1,350 people have been confirmed dead and more than 200,000 need urgent help. Tim Pilkington, World Vision UK’s chief executive said: “The full extent of the disaster is only now becoming clear. Thousands of families desperately need food, clean water, medicine and shelter. The terror of recent days has left children deeply traumatised. We must help them. “A disaster of this magnitude presents aid workers with huge challenges. Aftershocks destroyed roads and damaged communications have made access to remote areas extremely difficult. We are urging people to give what they can to help survivors of the disaster, which has claimed many lives and left tens of thousands homeless,” Pilkington explained. World Vision UK’s appeal will get urgent supplies to over 80,000 people. To support, it please click here. World Vision experts say it will take years for people to recover from this disaster. The charity needs to provide food, water and sanitation now and services to help communities recover over the next two years. Radika Pinto, World Vision Zonal Manager for Sulawesi, said: “We are collaborating with the Regional Disaster Management Agency (BPBD) and the local government to make sure people’s needs are met. In many areas, basic needs such as food, water, mats and blankets are desperately needed,” he added.